Looking for a Home with Modern Elegance? Look no further! Biltmore Co.'s Spring 2017 Parade Home Awaits You! Biltmore Co presents it's Spring 2017 Parade of Homes model, The Grayson! The ultimate modern floor plan custom designed to maximize the unique Reflection Ridge topography and park views. Experience exquisite craftsmanship and design featuring contemporary glam accents, marbles, quartz, and soaring 12ft ceilings. The vibrant kitchen & great room are adorned with the latest in designer lighting -A SHOWSTOPPER! Entertain all year from the entertainment room or the two covered patios. See our You Tube Video! Now Featuring Tresidio Homes in Reflection Ridge! We are proud to announce that Tresidio Homes is bringing their deep passion for home design and construction to Reflection Ridge. Tresidio Homes desires to create a better home building experience for their customers by providing an ease through communication and flexibility to the building process. They are focused on listening to their customers. They never want to lose sight of what customers want from a home building experience. Tresidio Homes was founded with the intention of building personalized homes of exceptional quality, delivering on promises and creating a customer experience that was actually easy and fun. 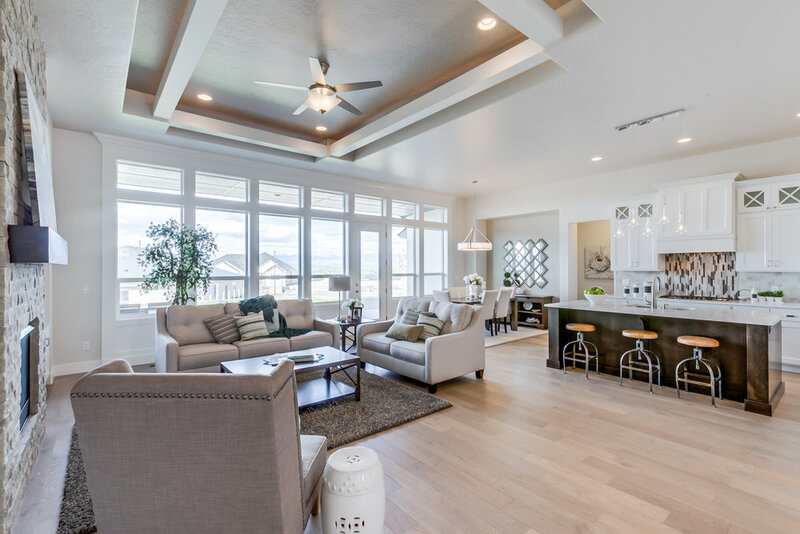 Today, they are an established full-service custom home builder that builds approximately 70 homes a year – which is large enough to give home buyers peace of mind but small enough to always be able to keep a personal touch. We are proud to show off Tresidio Homes 2017 Spring Parade Home located right here in Reflection Ridge! New Single Level From Zach Evans Construction! Treat yourself to exceptional elegance and quality construction. Presenting “The Taylor” by Zach Evans Construction, this model offers single level convenience with an open floorplan, distinctive accents and high-quality finishes throughout. You will love the large kitchen island with extra seating for entertaining, with a walk out to your covered patio. King-size pantry and front hallway closet. This home has all the luxury details and innovative styling we have come to expect from ZEC. Two New RV BAY GARAGE Models Available Now! Looking for a new home with an RV BAY GARAGE? Todd Campbell Custom Homes has two homes under construction now with 4 car RV bay garages!!! The Grey Heron RV is a 2700+ Sq Ft single level with upstairs bonus room, and a 1300+ Sq Ft RV Bay Garage! 3 Bedrooms + Bonus Room and 3 full bathrooms give plenty of space and flexibility. The Ventura RV is a 3100+ Sq Ft two story home with a huge 41 foot RV Bay garage! 4 Bedrooms (including a main level master suite), Bonus Room, and Office. Gorgeous East facing backyard overlooking common area! The "Belmont" by Berkeley Building Co! JUST COMPLETED! Look how LIGHT & BRIGHT this Berkeley Building Company, Inc. home is, even on these cold, snowy days! Take a peek at this SINGLE LEVEL with PRIVATE GUEST SUITE here, or stop by our OPEN HOUSE Saturday and Sunday 12-5pm in Reflection Ridge Community. Joe Grubiak and Chris Majors are here to show you around! Located at 713 E. Reflect Ridge Dr. For more photos, map and information, click HERE. The "Spyglass" by Biltmore Co - New & Ready For You! The "Spyglass" by Biltmore Co. is BRAND NEW and READY FOR YOU! MOUNTAIN VIEWS from the oversized windows bring the gorgeous Boise Front into your living area. SINGLE LEVEL with 3 Spacious Bedrooms, Office, and GORGEOUS main level BONUS ROOM! Offered at $474,523. Visit our OPEN HOUSE Sat & Sun 12-5pm in Reflection Ridge! Located @ 970 E. Reflect Ridge in Meridian, ID. More information, map and photos can be viewed HERE. Reflection Ridge Welcomes Tresidio Homes to the Builder Team! We have REALLY EXCITING news! Tresidio Homes has joined our Builder Team in Reflection Ridge and we couldn't be happier! 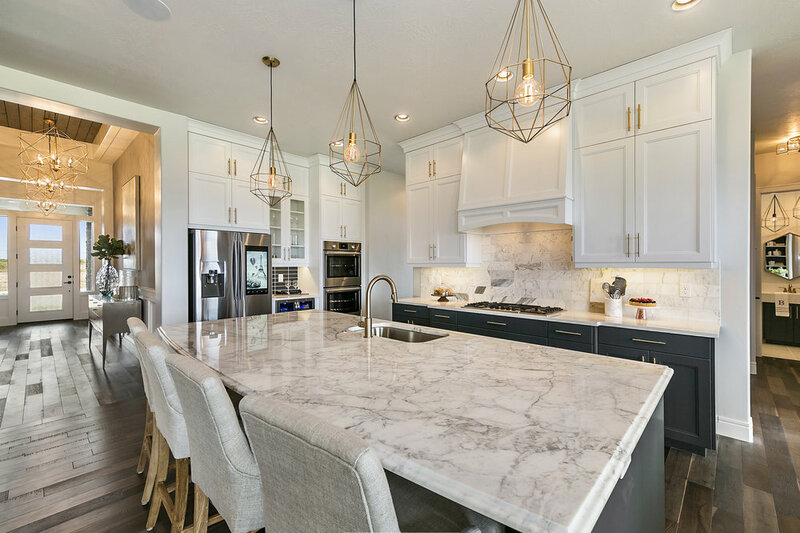 Jon and Russ, along with their great team, bring a five star standard that perfectly complements the top notch quality and style you can find from the entire builder team in Reflection Ridge. New Tresidio Homes models coming soon! Our story is one that many can relate to. It started from nothing, and involved vision, hard work and determination to get to where we are today. Company founders Jon Hastings and Russ Van Wagenen met in college while attending Brigham Young University. When they graduated with Construction Management degrees in 2009, the housing market was in a free-fall, and many builders were struggling just to stay in business. Despite this, Jon and Russ knew they had a bold new approach to the home building process and stepped up to the challenge of a new business. Jon and Russ started Tresidio Homes in 2009 based on their passion for home design and construction, and because they had a deep desire to create a better home building experience. They’d seen too many customers frustrated with the lack of professionalism and organization in the industry, and they knew they could create a much more enjoyable building process – one that is organized, yet flexible, and without the communication headaches that home building is known for. They founded Tresidio Homes with the intention of building personalized homes of exceptional quality, delivering on promises and creating a customer experience that was actually easy and fun. Along the journey of growing into who we are today, we focused on listening to our customers. We never wanted to lose sight of what they wanted from a home building experience. Elevate Your View to Phase 5 of Reflection Ridge Community! We are now taking reservations in our next phase - check out these gorgeous view lots. Visit our Open House this weekend Saturday & Sunday 12-5pm and get more information on availability and look through our model homes to find your favorite builder! The magic is in the details of Kevin Howell's newest single level plan "THE SELENA". 11' Ceilings in the entry, great room, dining & kitchen make the home live & feel larger than it is, while oversized windows strategically placed project light & create positive energy! The home has the latest designer finishes including: rich tile& hard wood floors & quartz counter-tops! The most discerning buyer will be impressed. Elevate Your View at Reflection Ridge! Click Here for more info + OPEN HOUSE times! This single level with 3 car garage is under construction now in Reflection Ridge! The Silverton by Biltmore Co. was conceived with fluidity and grandeur in mind. Large kitchen, living, and dining room with dramatic light and textures flowing throughout each space. Private master bedroom and bath boast all the finest finishes! Designer colors, textures & materials bring everything to life! You will be impressed!!! ! Stop by our OPEN HOUSE Saturday & Sunday 12-5! Click Here for more info! Looking for a new parkfront home? Get all of the Zach Evans modern style and feel you love without the high price! ZEC presents their latest home "The Parkview" in Reflection Ridge. 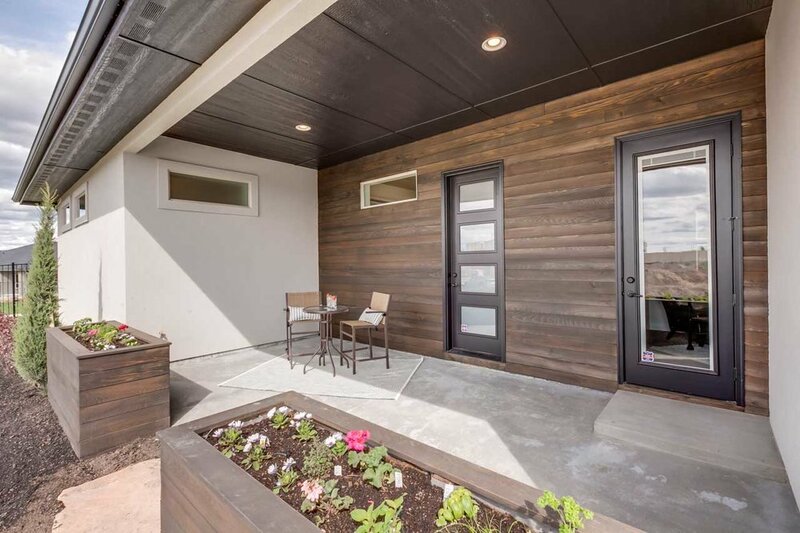 This new 1954 sq ft home is a perfect pairing of efficiency while the stylistic floor plan welcomes you. The Larsen in Reflection Ridge! With 4 spacious bedrooms, an office AND a bonus room, there's room for everyone to spread out and live comfortably. All of the family living space is on the main level with home office, open concept living area and large gourmet kitchen. The master suite is also located on the main floor of this home and encompasses you in luxury with a separate access to the private patio and large master spa like bath retreat. Click Here for more info! Final Weekend of The Parade of Homes! Come visit! Its the final weekend of the Parade of Homes, Come and see our Two gorgeous Parade Models in Reflection Ridge. And while you are here, take a look at the St Jude Dream Home and buy a ticket to win! Open Fri - Sun 12-8pm. Zach Evans Construction brings their distinctive warm contemporary style to their "Skyview" plan in Reflection Ridge. Discerning Buyer's will appreciate the inspired spaces amplified by designer lighting, colors and textures. Oversized windows, tall ceilings and artisan touches create positivity throughout. Discover a home and lifestyle that just feels right! Elevate Your View in Reflection Ridge, South Meridian's premier community featuring Boise Front Views and luxurious amenities! Were open Sat & Sun 12-5! Click here for more info! NEW PRICE on this gorgeous Todd Campbell Custom home! Visit our open house Sat & Sun 12-8pm. The Cassidy by Todd Campbell Custom Homes is designed for those seeking a dramatic open concept design. Front courtyard entry allows a welcoming approach to the beautiful entrance of your new home. The great room offers ample entertaining space with an open kitchen, dining room and family room that will allow guests to mingle. The cozy gas fireplace with stone surround offers warmth on chilly days! Custom moldings, hardwood floors & custom tile designs are what you have come to expect from Todd Campbell! See more HERE! 2016 PARADE OF HOMES MODEL BY BERKELEY BUILDING CO! WOWZA! These views! This house! 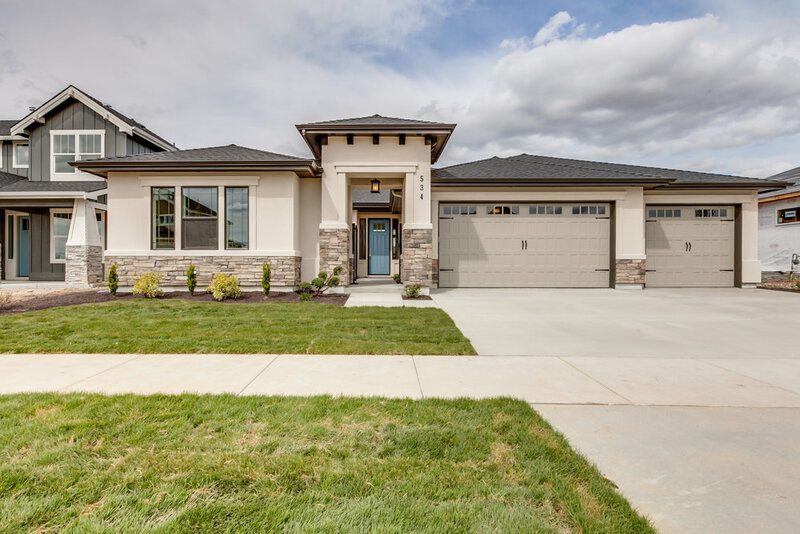 Come and see BERKELEY BUILDING CO's 2016 Parade of Homes model in Reflection Ridge! We invite you to come out to Reflection Ridge Community to view The Alameda now through May 15th: Mon-Thurs 5-8pm, Fri-Sun Noon-8pm. Or watch the video here! WOW! 2016 PARADE OF HOMES MODEL BY TODD CAMPBELL CUSTOM HOMES! ITS HERE! 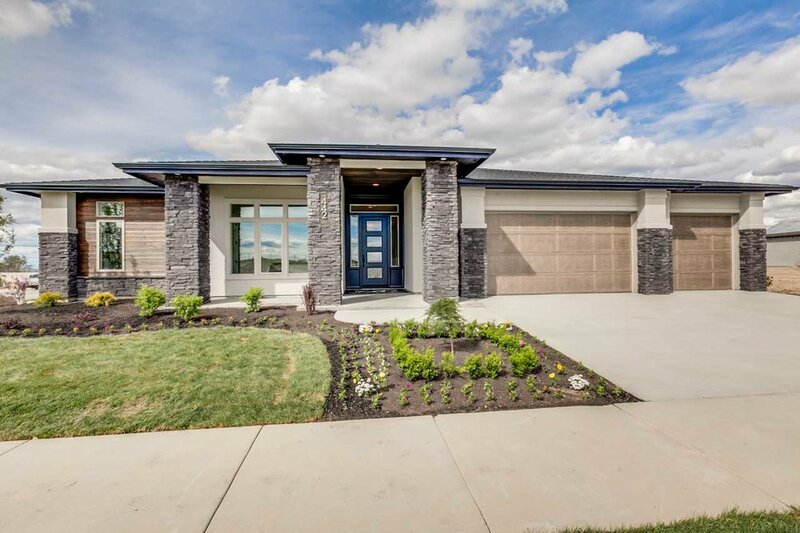 TODD CAMPBELL CUSTOM HOMES 2016 Parade of Homes model is AMAZING! We invite you to come out to Reflection Ridge Community to view The Clearwater now through May 15th: Mon-Thurs 5-8pm, Fri-Sun Noon-8pm. Or watch the video here! WOW! The Parade of Homes is Coming! Reflection Ridge will have 2 AMAZING parade of homes models for you to tour! Stay tuned for more info! Want to Win a Home?!?! Want to win a home? Buy a ticket for a chance to win this year's St. Jude Dream Home in Reflection Ridge! Please reach out to Joe Grubiak or Chris Majors if you want to learn more about Reflection Ridge! And check out this amazing home built by Berkeley Building Company!!!! 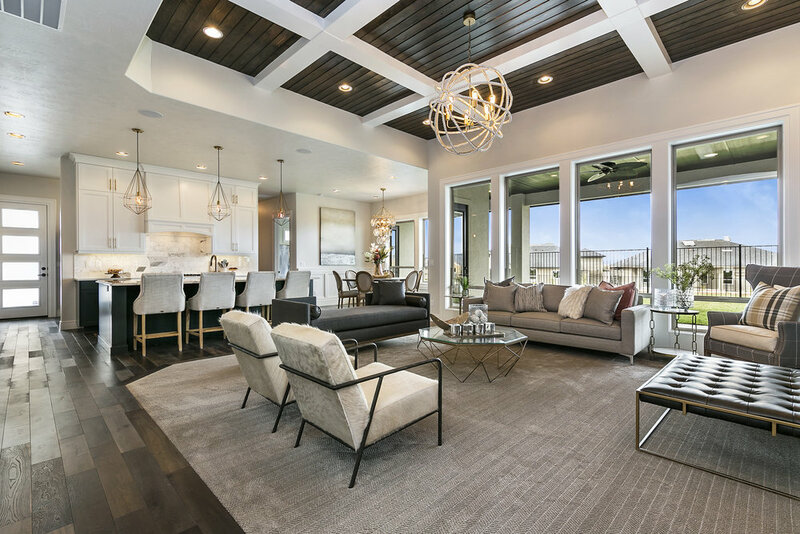 The St Jude Dream Home is located at 3900 S. Shimmering way in Meridian and will be open for tours every weekend from April 30th - June 5, Saturday 9am to 8pm and Sunday Noon to 8pm.